A week or so ago asked if I could lead a hike on the Water Works Trail for him and some friends. One of the guys was stationed w/Baron in the navy. How could I refuse? 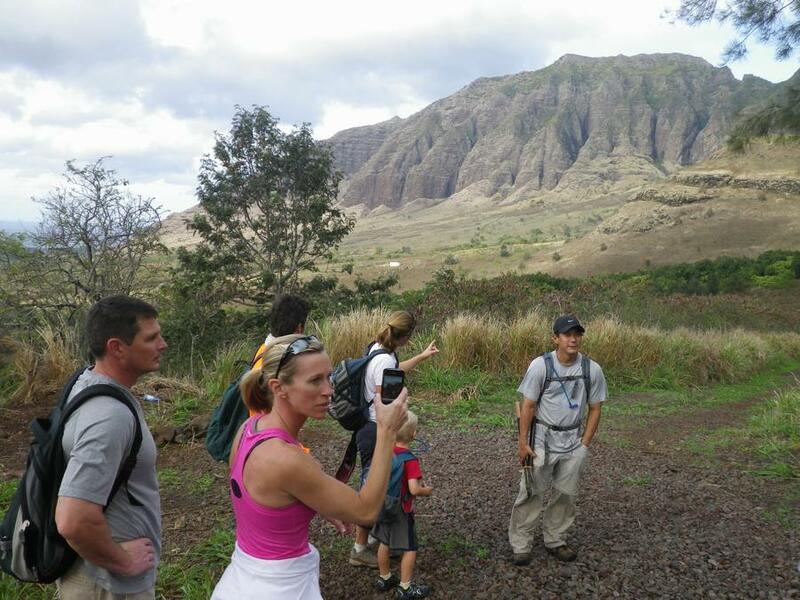 They arrive along w/some local hikers, Laura and son Zack (the youngest human to complete this trail) as well as Kelly Q. Here weare at Lookout Point getting ready to drop down from the road to the trail. 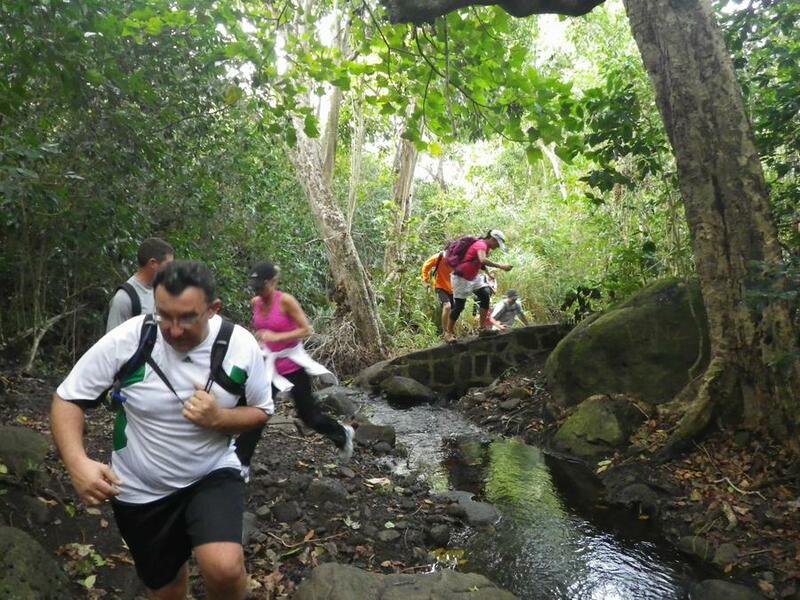 Leaping across Kanewai Dam and stream.